This twist-action ballpoint pen adds distinction to your desktop. 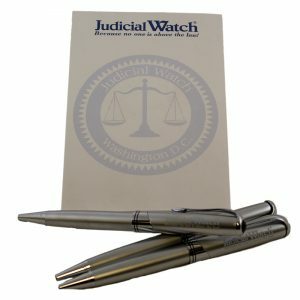 With a subtle white logo, you will be able to support Judicial Watch no matter where you are. 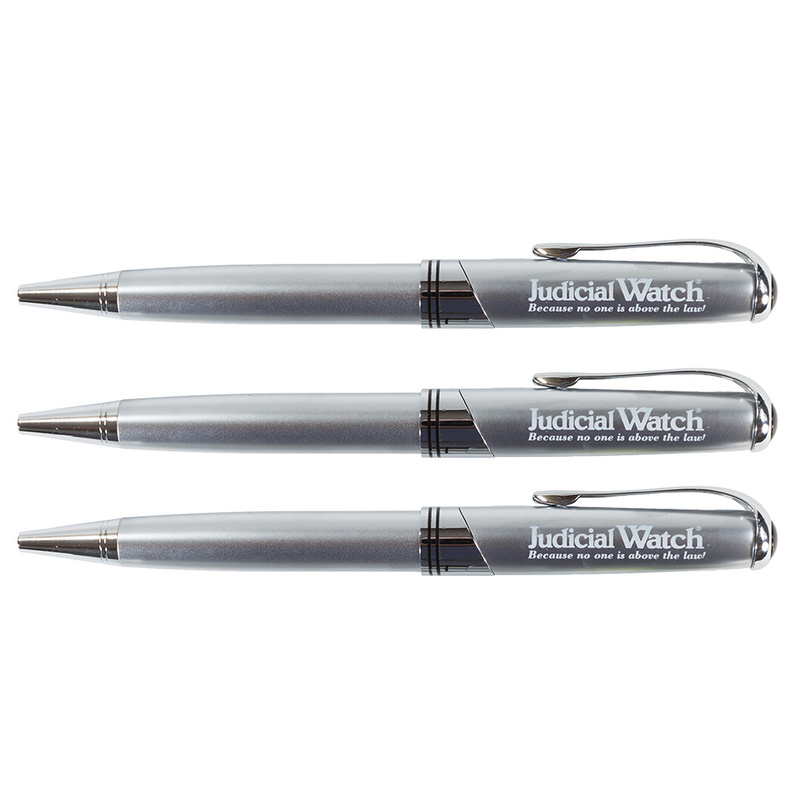 When quality counts, use this gorgeous Judicial Watch executive pen. 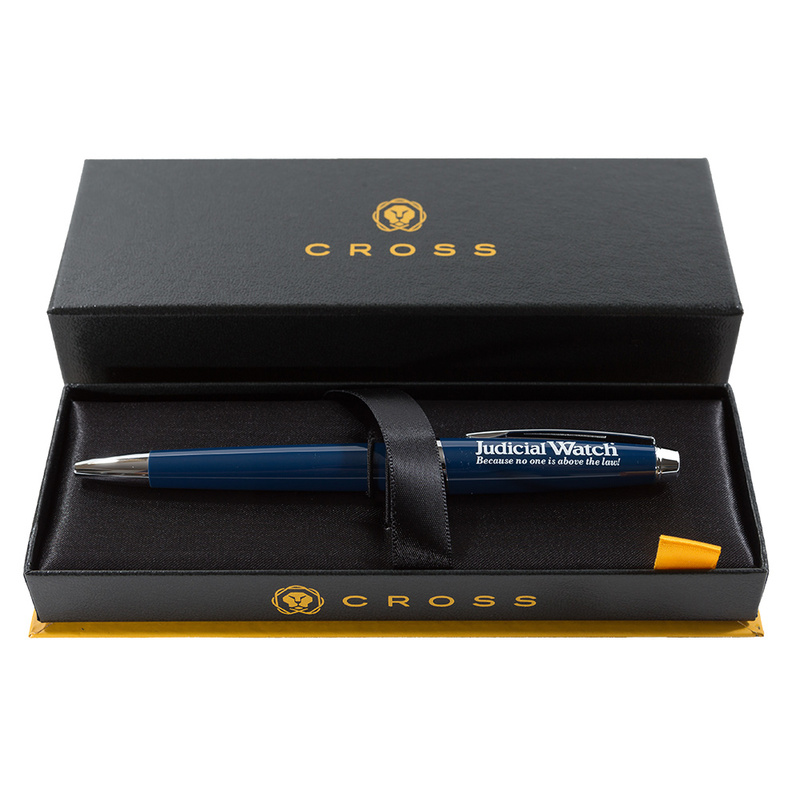 Made by Cross, this "starry blue" pen comes in an embossed case (pictured) guaranteed to look great on any desk. I would like to receive the Weekly Update newsletter and other email messages from Judicial Watch. Hey, That's not right! Please help protect our copyright. Don't right click.